Drought, in general, refers to an acute water shortage caused by a prolonged period of abnormally low rainfall. It is already difficult enough to farm on the continent of Australia with almost no topsoil, irregular rainfall, a weather system that works on an 8 to 10-year cycle, rather than a yearly one, and vast distances to transport produce. Now throw in possibly the worst drought in living memory, and agricultural communities are finding themselves in serious trouble. According to Prime Minister Malcolm Turnbull, some farmers have spent up to A$10,000 per truckload of hay just to feed their animals. Sourcing hay is proving a challange, and at $4000 for just a days feed, funding it is proving even harder. Both crop and livestock farmers are reporting painful stories of failing crops, severe water shortages and being unable to feed animals. Fruit farmers have had to forget about the idea of bringing in a harvest this season, and are instead shifting their focus to just trying to keep their trees alive. Some dairy farmers are seeing milk production halved and are struggling to find the money to pay for hay to feed their livestock. One NSW dairy farmer told news reporters that things are at a point where it is cheaper to shoot your cows than try to feed them. Dams are drying out across the state of NSW and many farms are running at a loss, with copious more heading in that direction. The federal government is planning to give eligible farmers additional relief payments of $12,000. Farmers have welcomed this extra money, but many believe this won’t be enough. Ashley Gamble, a struggling cattle farmer from Toowoomba, Queensland, says $12,000 just isn’t enough and likens his everyday life at the moment to being in jail – “you turn up because you gotta turn up”. Fortunately, further help is on its way from the agricultural community of Tasmania – the Australian island state that lies just off the mainland 240km across the Bass Strait. Frustrated at what they consider to be a pittance contributed by the Australian government, and still remembering the support they received from farming communities across mainland Australia in 2016 after intense flooding destroyed much farmland, Tasmanian farmers, truck drivers, and local community groups have mounted a grassroots campaign to help those suffering in NSW and Queensland. Farmer Michael Perkins and friend Robbie Edwards are managing a relief effort the call ‘Cowbiz Tassie Hay Run‘, which has had support pouring in with over 1000 bales of hay donated already. This weekend, truck convoys have started taking the bales across to ports in Melbourne, where they will then make their way up to NSW and Queensland. 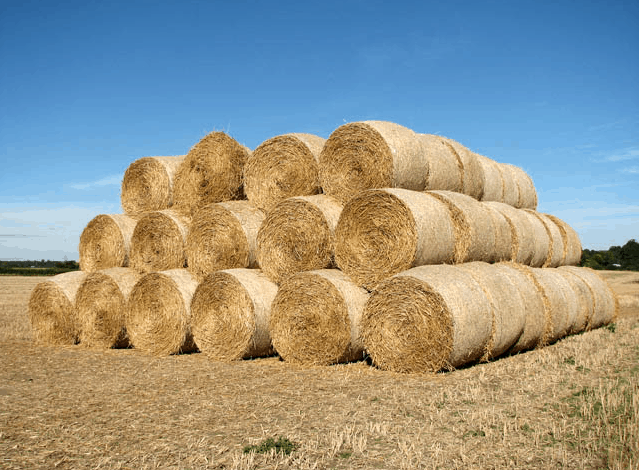 Donators have been heard saying they are glad all the communities are banding together to help the farmers, and they had a surplus of hay from all the rain last year so it was the least they could do. Another charity supporting Australian Farmers is Drought Angels. They provide food hampers, care packs, prepaid visas, local store vouchers, stock feed and hay. If you are living in Australia you could take part in the Parma for a Farmer campaign, which donates money from each parmigiana sold to help communities ravaged by drought. Australians are also being urged to holiday in the bush as a way of helping struggling rural towns.